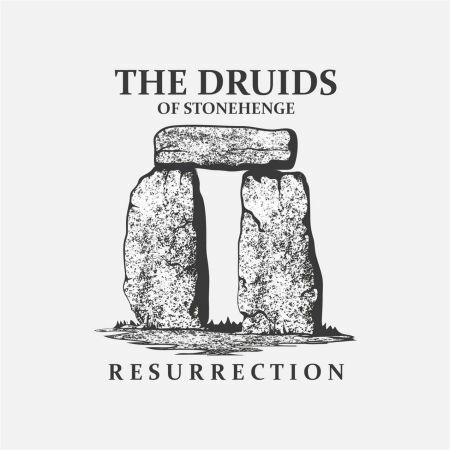 The Druids of Stonehenge are, as a claimed, a rock band that plays blues songs. The rhythms tend toward the rock of Chuck Berry and Bo Diddley and the songs go from Taj Mahal back to the early blues stuff. Formed in New York City in the late 1960’s, the Druids were weaned on the rock of that ear and formed a band. They explored back and back and back into the blues and fell in love with the blue. For 50 plus years they’ve put their rocking stamp on the blues. The Druids are David Budge on vocals, Billy Cross on lead guitar, CJ Hauser on bass, Roger Kahn on drums and Magic Kramer on organ/keys. Sometimes Hauser or Magic Kramer switches to rhythm or acoustic guitar, Deborah Dobkin is on percussion and backing vocals vary with band members and Maria “MJ” Hauser. Milt Reder appears on guitar and Esben Just appears once on keys, too. A Taj songs kicks things off- “Strong Man Holler.” first heard on a Bog Bill Morganfield Blind Pig Label CD, they then heard a Taj Mahal version and lovd it more. It was also the 2012 impetus to get the Druids back together. Budge has a deep bass vocal (reminds me a little of a rock version or Reverend Raven) who growls and sings with emotion. The guitar lead is stinging and the cut gets the blood flowing. Lightnin’ Hopkins’ “Shotgun Blues” is next, with deep, dark distorted vocals that fit the violent theme of the cut. A nice, driving beat and a guitar solo make for some good music. Magic Slim’s “Just to Be With You” gets an acoustic and slide guitar treatment and the cool overstated vocals by Budge give it a cool and interesting sound to boot. “Nobody’s Fault But Mine” was initially made famous by Blind Willie Johnson and has been recorded by Sister Rosetta Tharpe and Led Zeppelin to name a couple of artists. 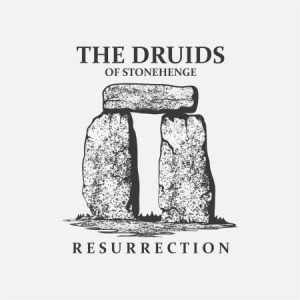 The Druids place their stamp on it with a slow but forceful beat and stinging guitar lead and solo. Budge’s gravelly growl carry the tune in an interesting manner. James Cotton’s slower version of Tie-Tongue Haney Johnson’s “She’s Got My Nose Open” grabbed the Druids interest and their arrangement is closer to Cotton’s take. A nice mid-tempo beat, piano and guitar and the deep vocals make it fun. “Superstitious Blues” is an old. old tune Willie Dixon grabbed on to and Howlin’ Wolf recorded, but the Druids take this oft recorded song in the blues and rock world and turn it into a samba. Interesting and cool. Budge almost seems to drool out the deep vocals. Wolf’s “What a Woman “Commit a Crime” is up next. Built on some older songs, the Druids take a Wolf-like approach to the cut with guitar and piano backing the groove up sweetly. The slide solo is cool, too. “Jumper on the Line” is an R.L. Burnside cut with lyrics they added from a Baltimore Sun interview with Burnside. A two-step rhythm makes things interesting and the haunting slide makes it even better. Blind Willie McTell recorded “Born To Die” which likely predates him, but the Druids take it and give a little of the Stones take from “You’ve Got to Move” to spice things up. A slow blues with slide and dripping darkness. 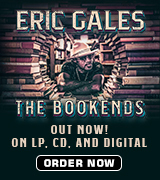 Robert Johnson’s “Hellhound” concludes the album, another slow blues with slide, percussion and the deep, dark vocals. The first time I listened I must say I was not sure about this band. David Bulge’s vocals were a little over the top. He’s got a deep baritone voice and he uses it with all sorts of growls and howls and such that at first seemed too affected. Then I listened again, and again and familiarity made it grow on me. The guitar and keys are good and the takes on the songs are interesting. They are all cuts we’ve heard before, but the Druids have fun putting their spin on them. I enjoyed the CD. You can tell they had fun making it as you listen. 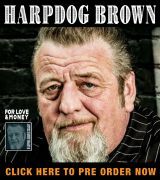 If you’re looking for something a little different it might be worth your time. They are rockers but they know how to play the blues.